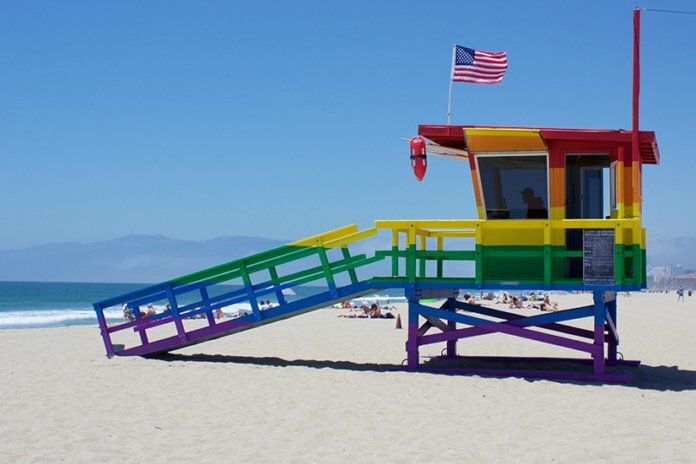 It turns out the days could be numbered for the Pride Flag Rainbow Lifeguard Tower at Venice Beach. The art installation painted by local artists Patrick Marston and his husband Michael Brunt was unveiled in honor of Venice Pride this summer. The rainbow lifeguard tower is scheduled it to go from its current LGBT inclusive vibrance, back to its original baby blue hue on September 8. 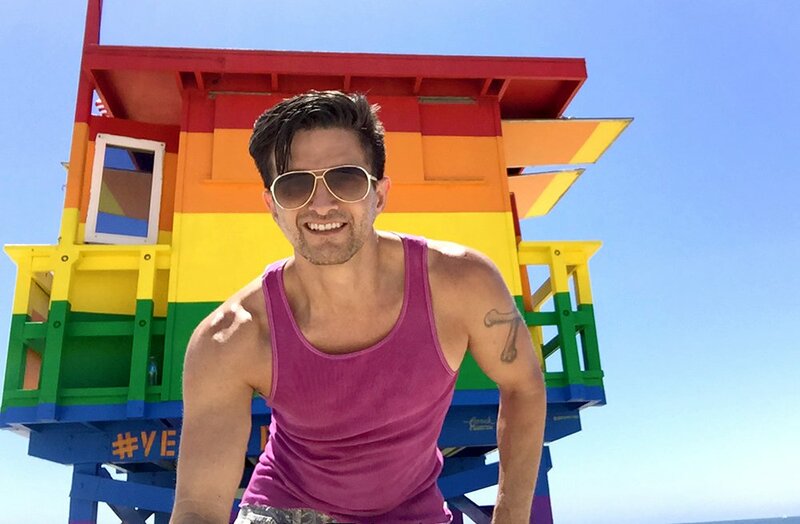 LGBT activist and actor Colin Campbell is hoping to preserve the rainbow flag on the tower that’s located at Brooks Avenue on Bill Rosendahl Memorial Beach in Venice. 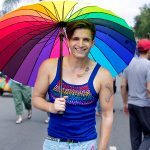 He is building a human chain in the form of a petition via change.org to protect the LGBT inclusive symbol and make it a permanent art installation. As of the publishing of this article, the petition has already generated over 7,871 supporters. 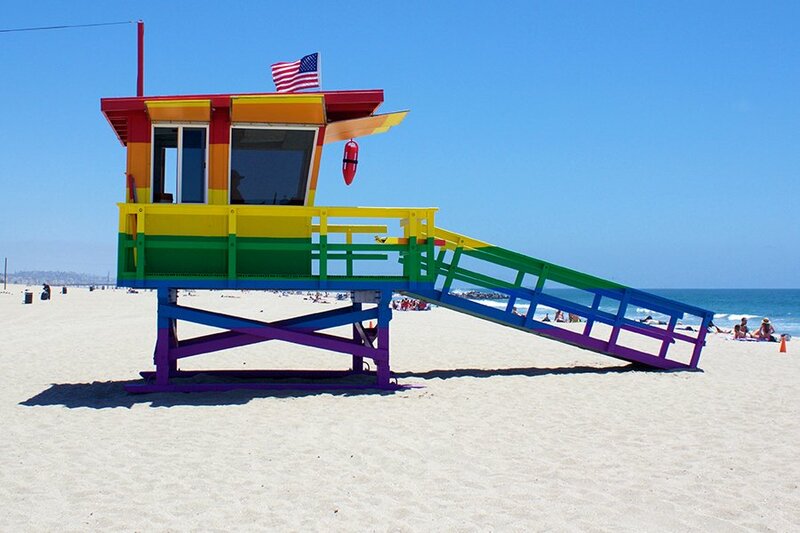 L.A. County Supervisor Sheila Kuehl’s deputy for public works Maria Chong-Castillo, announced today that Kuel will introduce a motion asking the Department of Beaches and Harbors to preserve the Venice Pride Flag Lifeguard Tower forever. The motion is asking to make it a memorial to late Los Angeles City Councilman Bill Rosendahl, the first openly gay man elected to the council. Rosendahl, who represented the 11th District, which includes Venice, retired in 2012. He died in 2016 from cancer. Funded by Venice Pride, a local non-profit dedicated to saving LGBT lives, and Dunn-Edwards Paints, the Rainbow tower serves as an important visual reminder that Los Angeles will always welcome people no matter whether they are gay, straight, lesbian, bi, transgender, queer or questioning. 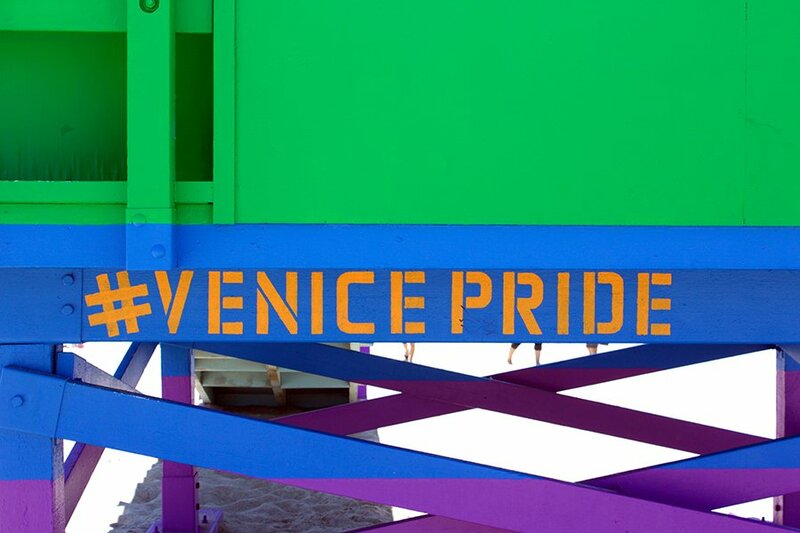 The petition to save the Venice Pride Flag Lifeguard Tower needs as many signatures as it can generate. To sing the petition, visit: change.org.